Receive aBenefits cardwith 100 points complimentary as a Gift for signing up! Earn additional personalized exclusive offers! Stay updated with beauty news and offers in stores and online exclusives! Keep your favourite products organized by adding them into your Wishlist! With this product, you earn 5 loyalty points. A deeply hydrating face mask infused with Jeju Green Tea extracts to cleanse, moisturise and clear skin. 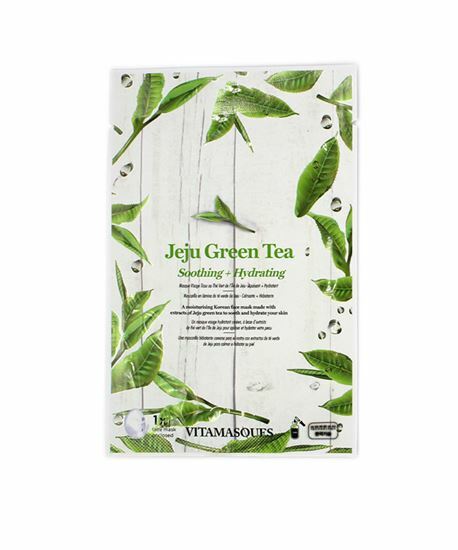 The green tea harvested on Jeju Island is rich in amino acids and minerals to keep skin moist and hydrated. The unique and gentle formula is designed to sink deeply into the skin leaving it juicy and supple. Use this mask for a little tender loving care for your skin. Copyright © 2019 Beauty Line.